The inmates in Bellevue are awaiting trial for a variety of offenses, ranging from sleeping on the subway to murder. "My job is to try to look past that and ... to care for them, to be curious about them and to be non-judgmental," she says. "It is ... a daily struggle, but one that I have found over the years [to be] incredibly rewarding." 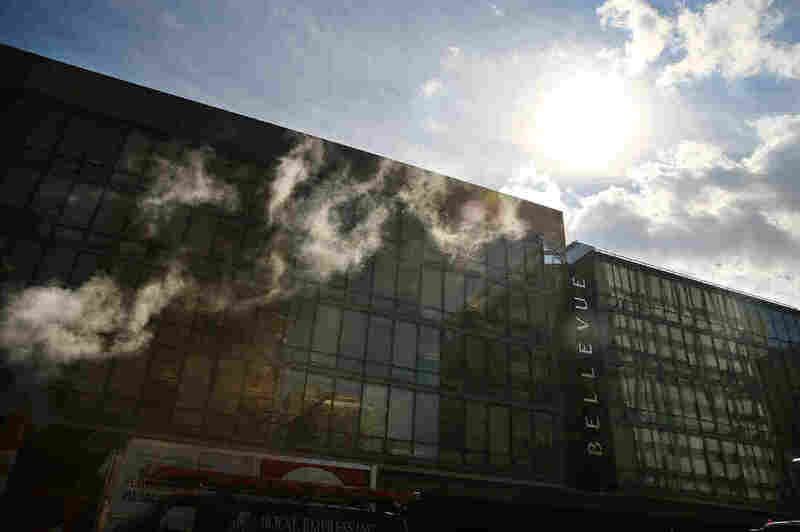 Ford began treating inmates at Bellevue in 2000 during an internship and eventually worked her way up to become director of the hospital's forensic psychiatric service. 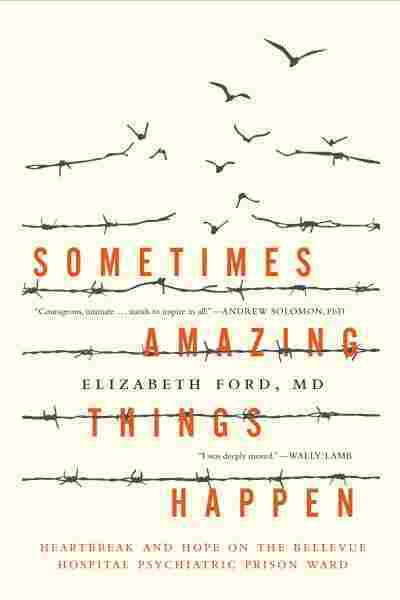 She revisits her experiences treating Rikers' inmates in her new memoir, Sometimes Amazing Things Happen. "The type of symptoms and pathology that I saw and took care of during my time [at Bellevue] really shocked me," Ford says. "Of the patients I took care of, it was almost a universal experience that they have suffered abuse or significant neglect as children. I literally can't remember a patient for whom that didn't apply." I took care of many patients who had been accused of killing somebody. The most difficult ones for me were those who had been accused of killing a child, and that became particularly hard for me after I became pregnant and had my two children. But to listen to them talk — not necessarily about the crime, but about the feelings behind what led up to that, how they felt afterwards, and then the whole developmental trajectory that ... made it seem like it was inevitable it was going to happen — was very difficult. Increasingly I am noticing, in ways that I think I didn't appreciate early in my career, the numbers of people who are incarcerated who are neurodevelopmentally delayed and who don't have the education, or don't have the cognitive ability, to really navigate through this system. The first thing I do — which is what I try to do for every patient, regardless of what's going on with them — is to sit, and be with them, and listen. And sometimes for patients, particularly who are neurodevelopmentally delayed, literally just being there for them, not running away, is the best thing that I can do. And then, when they settle, we can talk about how best to move forward. Sometimes patients had to be locked in rooms — it's called seclusion — to keep themselves and others safe. And just like any other psychiatric hospital, for patients who were so extraordinarily violent that there was nothing else we could do, they did have to be restrained, which is not something any of us ever wanted to do, but sometimes happened. Over the course of my career I have definitely found that the first approach — listening to patients and really having patience with them — is by far the best approach. When patients are scared, they become violent. And if you can listen to them, the fear goes away. One of the biggest stressors of being in jail is that you are surrounded by people who you have not chosen to live with. You have officers telling you things that you need to be doing that you may not agree with, and you have health staff who sometimes are asking you to do things you don't want to do. But you're in an absolutely new community, and group therapy is a perfect petri dish to practice interacting and communicating with people that you don't know, some of whom you might be afraid of, some of whom you don't respect. ... I have found group therapy to be some of the best treatment in this kind of setting. There are ways for jails and prisons to be more rehabilitative and I think we can be all starting a conversation about that. The issue of punishment certainly comes up. From my perspective as a doctor I have found that positive reinforcement – that means praising someone or helping someone when they do good things, rather than punishing when they do bad things — is the best way to change behavior. So, I think the more that we can try to incorporate that into the mission of the work we do in the jails, the better. Radio producers Sam Briger and Mooj Zadie and Web producers Bridget Bentz and Molly Seavy-Nesper contributed to this story.